What Can I Do If I Don't Remember Where It Came From? Hi All, I'm new to this site so Hi! I've had anger issues since before I could walk and talk, according to my mum, and started to display other behavioural problems from as young as 5. I remember lots of traumatic events happening as I was growing up and as a result I suffer with high levels of anxiety today at the age of 29. However, my anger is a response that really gets in the way a lot and my question is: If something happened to me when I was a baby that I have no memory of which would leave me with anger/anxiety issues now, what can I do about it? This stuff seems hard wired and no amount of therapy has helped me. I've only just started to become aware of the stuck trauma's and my defense was to block it all out, hence why I'm very stuck with this stuff. Hello Trinity, and thanks for telling your story here. I don't know if you've done any indepth imagery work with the traumas you do recall, but I suggest that you use these imagery processes for emotional healing to address them if you have not, or if you feel there may be any additional healing that needs to occur. 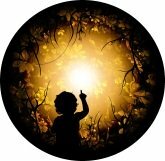 I recently revised my audio CD/download program on nurturing your inner child, and it has several imagery processes that will most likely help you to recall, or heal those traumas even if you don't consciously recall them. You will also find the guidelines for healing anger on this FAQ page to be helpful. You sound like a bright and dedicated person, Trinity. That is excellent. I hope these resources are helpful to you in your journey of healing and recovery of your natural state of joy and love.